We help you succeed in your kitchen! For over 25 years, The Main Course in Fish Creek has offered chefs of all skill levels, from professional to novice, a place to browse, talk and learn more about cooking and sharing their passion for creating in the kitchen. Whether you are looking for the perfect tool to help you bake, braise or barbecue, The Main Course will be here to help you find that tool, discover the latest “must have” kitchen gadget and provide the expertise you need to be successful in your kitchen. Julia Frater, owner and cookware expert, assembles an assortment of quality “toys for cooks” she loves and uses in her own kitchen. Whether it’s a tried and true staple of the kitchen or a brand new gadget we just have to have, here are a few of our favorites we are excited to tell you about. Here at The Main Course we are very proud to carry a wide variety of products made in the USA, as a matter of fact, many of our items are made here in Wisconsin. 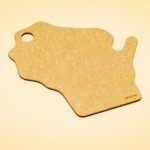 You can see some of these great products here online or stop in our store when you are in Door County. For centuries one of the premier art forms in Eastern Europe has been the pottery and ceramics of Poland. 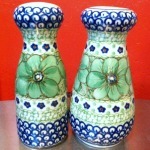 Polish pottery also know as Polish Stoneware from Boleslawiec, Poland Is beautiful, intricate and durable. We carry a stunning collection here at The Main Course. If you have ever visited the store when Julia is there, chances are you’ve met Logan. 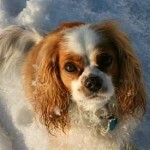 He is a Cavalier King Charles Spaniel a fancy chap with great taste in kitchen gear and accessories. 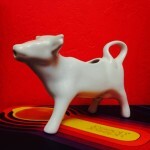 See some of Logan’s favorite kitchen toys available in the store and enjoy some cute pictures of him. Visit our store in Fish Creek!